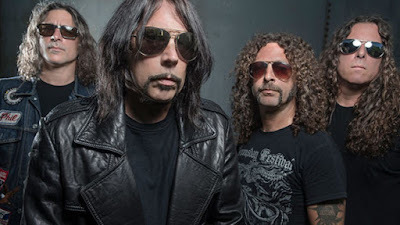 Monster Magnet are streaming their forthcoming album, “Cobras And Fire (The Mastermind Redux)”, in full ahead of its release on October 9. "With Cobras And Fire I wanted to present these songs in a much stranger and dirtier atmosphere,” says frontman Dave Wyndorf. “Less ‘classic rock’ and more... well, I'd guess I'd call it a deranged fusion of garage-psych, fuzz punk and movie soundtrack music. “All in all I call this the weirdest Monster Magnet yet, and that's a good thing! I hope you like it! Rock on!" 2010’s “Mastermind” marked the final album with lead guitarist and long-term member Ed Mundell. The original project delivered the group their first US chart appearance on the Billboard 200 over 3 albums in 9 years.